A lot of writers have written stories in H. P. Lovecraft’s “sandbox” or have borrowed heavily from it. In fact, during his lifetime, Lovecraft encouraged this shared-world approach to his “Yog-Sothery.” Given his open attitude and the power of Lovecraft’s works, it now almost seems inevitable that a group of Lovecraftian disciples would emerge, helping to spread the fame of his stories. It is with great excitement that one begins to see something similar emerge with contemporary weird author Laird Barron and the publication of The Children of Old Leech: A Tribute to the Carnivorous Cosmos of Laird Barron. This anthology contains a panoplied collection of weird tales and horror stories that borrow sometimes heavily and sometimes lightly from the sandbox of Barron’s continued literary output. Ross E. Lockhart — long time Barron editor and owner of the new startup small press Word Horde that is bringing us Children of the Leech — co-edits this brand new volume along with newcomer book editor Justin Steele, who also edits the online Arkham Digest. Lockhart and Steele have assembled not only an amazing cast of contributing authors for this anthology, but they’ve put together some very excellent stories. With great personal bias for Barron, I take this to be one of the best horror anthologies I’ve ever read. I predict this book to be on some major award ballots next year. If you’re not familiar with Laird Barron, you really should be. He’s a multiple Shirley Jackson Award winner and currently on the 2014 World Fantasy Award ballot. I’ve raved about him several times on Black Gate, including here and here and here. Barron’s writing is often called Lovecraftian; but not in a pastiche sort of way. Rather, Barron is really good at capturing a cosmic-horror-feel in his stories that many believe Lovecraft perfected. As I’ve said, these stories borrow, in various degrees, from Barron. Some use these recurring Barronian motifs, while others subtly wander into the same “carnivorous cosmos.” But almost without exception you get a Barron-like aura in the majority of these tales. 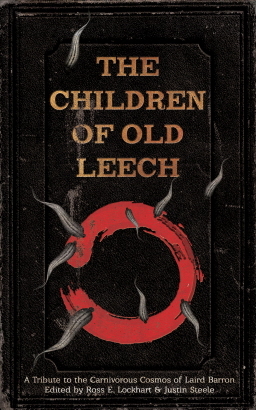 Included in Old Leech are some of the best and most well-known weird and horror authors around today, especially those who are known to write in a Lovecraftian vein. This anthology features stories by Gemma Files, Michael Cisco, Jeffrey Thomas, Paul Tremblay, Joe Pulver, Stephen Graham Jones, Cody Goodfellow, Scott Nicolay and several others. My favorite story was Paul Tremblay’s “Notes for ‘The Barn in the Wild’”, which was very chilling. 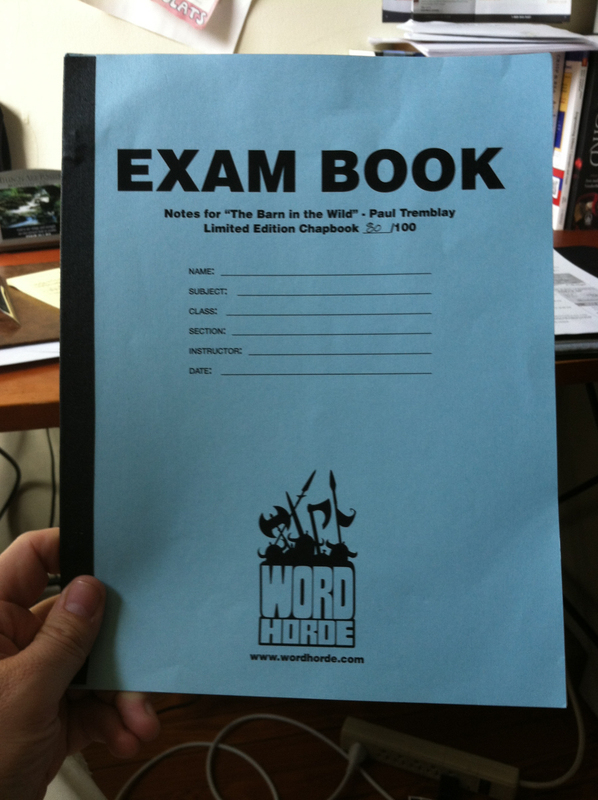 As an early buyer of The Children of Old Leech, I received a chapbook of this story in the form of an old exam blue book. The story borrows heavily from one of Barron’s best tales, “Mysterium Tremendum,” and the chapbook’s format gives it a Robert Bloch “Notebook Found in a Deserted House” feel to it. There are various inserted notes that are given as footnotes in the printed book, but they are what really make the story exceptionally creepy. Another good tale is T. E. Grau’s “Love Songs from the Hydrogen Jukebox.” If Barron ever gets lazy, he should hire Grau to be his ghostwriter. I’ve read and re-read a lot of Barron, and Grau sounds almost exactly like him in this story. If Barron had put his name on it, I don’t think I would’ve ever known the difference. Good job, Mr. Grau! “Snake Wine,” written by Punktown author Jeffrey Thomas, is a slithery freak fest with overtones of Lovecraft’s collaboration with Zealia Bishop, “The Curse of Yig.” I recently saw a picture online of the sort of wine in question of this story, which is evidently a real thing. Disgusting! But this is apt given the story’s sickly serpentine theme. Gemma Files’s “The Harrow” does a good job of taking Barron cosmic horror into a seemingly typical every day kind of home. Here a woman inexplicably decides she needs to start digging in her backyard, where she ends up finding some old relics. Molly Tanzer’s “Good Lord, Show Me the Way” is written as a series of emails. This was a neat idea for telling the story of a graduate student who wants to research an American Northwest cult, but whose advisers are iffy about the idea. It has some funny elements in it as well. Richard Gavin’s “The Old Pageant” is written in the style of one of Barron’s “nameless couple” stories. A couple head out to the woman’s family summer cabin that she hasn’t been to since she was a child. Out in the middle of nowhere, in the black of night, she begins to tell the man some dark memories from the place. Thanks honey — great time to share such thoughts! John Langan continues his streak of amazing horror stories with his “Ymir” tale set in the arctic. Langan is very skillful at switching back and forth from different splices of time. He does so effortlessly here as well, where the eventual climax fires on all cylinders. 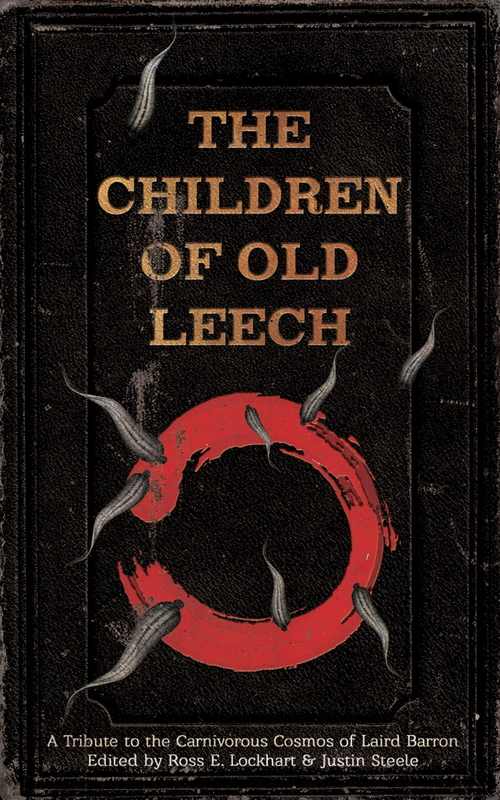 In short, The Children of Old Leech is not only an excellent horror anthology, it does a superb job of capturing many of the same themes that Laird Barron is so good at achieving. It showcases some of the best horror talent of today, emulating one of the true masters of the weird that we currently have. The Children of Old Leech was published by Word Horde on July 15, 2014. It is 330 pages and retails for $29 for the hardback and around $9.99 for the digital edition. Thanks for causing me to buy another book. Read four or five so far and they are great, creepy excursions into the universe’s greedy maw. Your welcome Fletcher! This one is worth it.